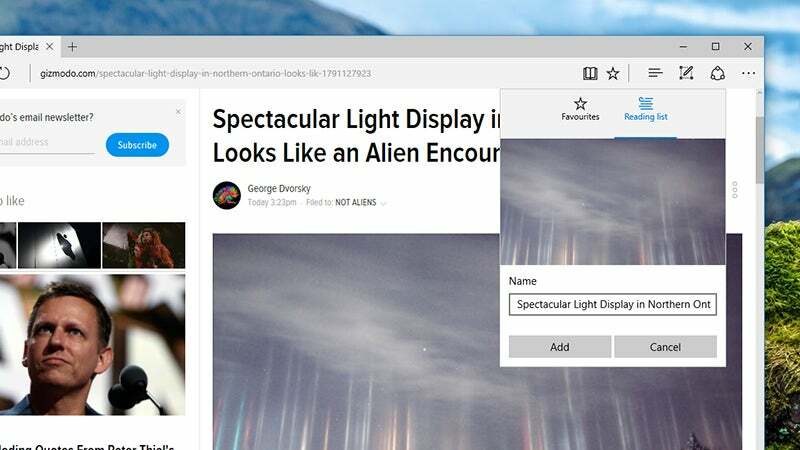 You may be so well used to Chrome or Firefox that Microsoft's new browser Edge may not be on your radar. It probably should be though, because it was built for Windows 10 and includes a bunch of great new tricks that other browsers don't have. No matter what your experiences with the old Internet Explorer was like, Edge is still worth a look. 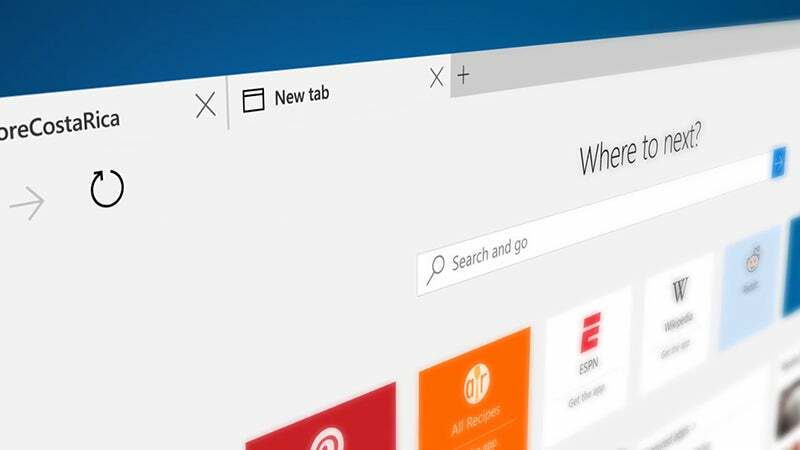 Here are 5 reasons to give Microsoft's new browser another chance. 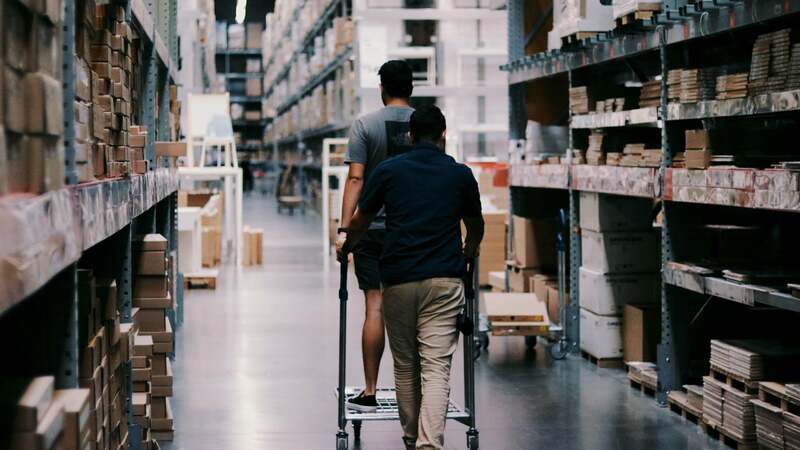 It's not all been smooth sailing since Microsoft decided to make Windows an OS that could run on computers and tablets alike, but it's starting to pay dividends now if the rash of weird and wonderful 2-in-1 devices hitting the computer market are anything to go by. With the arrival of the Anniversary Update, you can get all touchy-feely with Edge in a way that doesn't really apply to other browsers. If you're on a touchscreen PC or tablet device, drag your finger left or right to go to the previous or next page in your browsing history. Sharing an article you've found on the web often requires hunting around for tiny social media icons down the side of the page, but in Edge it's very straightforward. Just click the rather odd-looking Share button at the top, which is three dots joined by a circular line. 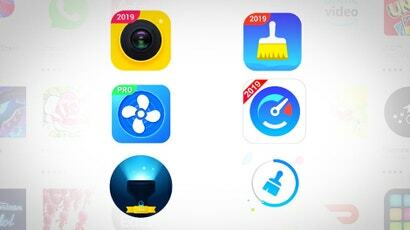 The options you see sliding in from the right-hand side of the screen will vary depending on the applications you've got installed in Windows 10, but you should see plenty of the usual suspects like Facebook and Twitter, as well as a few less obvious sharing choices. 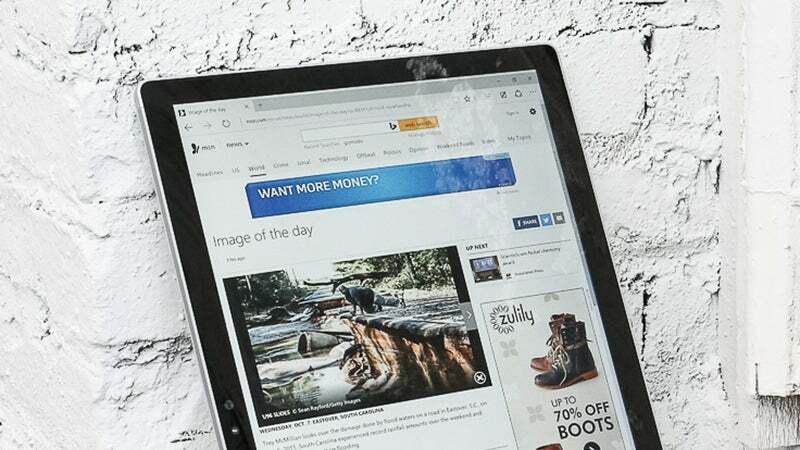 Just about every browser out there comes with a "reading view" mode that cuts out the clutter from the webpages you're trying to look at, but Edge can replace the likes of Instapaper and Pocket completely without interfering with your online bookmarks. To save an article to your reading list, click the star in the address bar, then pick Reading list and Add. You can call up your list of saved articles at any time from the reading list icon, then use the Reading view button in the address bar to simplify the page if necessary. 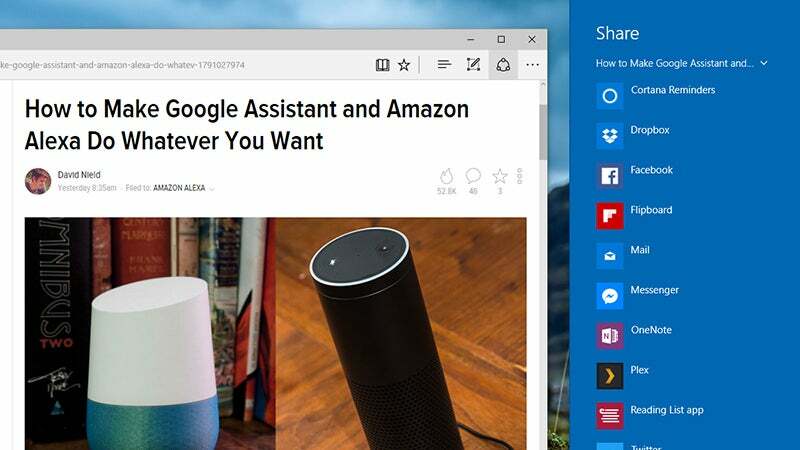 Google has put a certain amount of smarts into Chrome and indeed its web apps, but Cortana is an integral part of Edge (and Windows 10 as a whole). Use the address bar in Edge like any Cortana input box to ask questions and get information you need. Here's another trick you can try with Cortana and Edge since the Anniversary Update dropped. 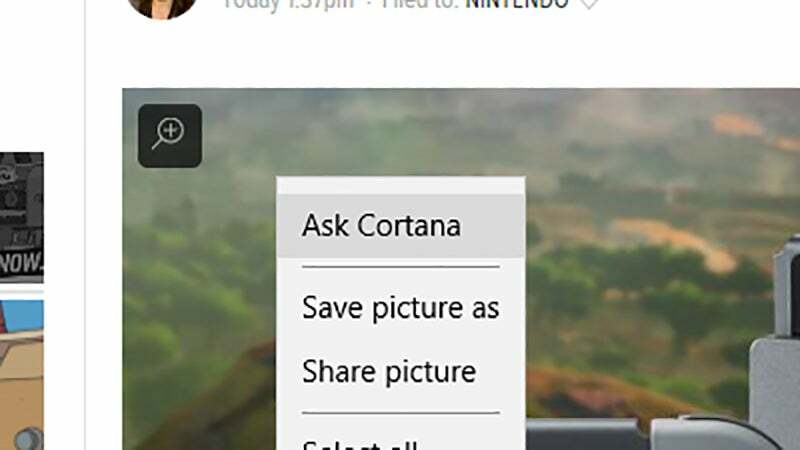 Right-click on any picture online then choose Ask Cortana to try and identify what's in the image, and bring up related pictures and links from elsewhere on the web. As you might expect, Edge works very well indeed with Windows 10, and of course they're developed and updated alongside each other. 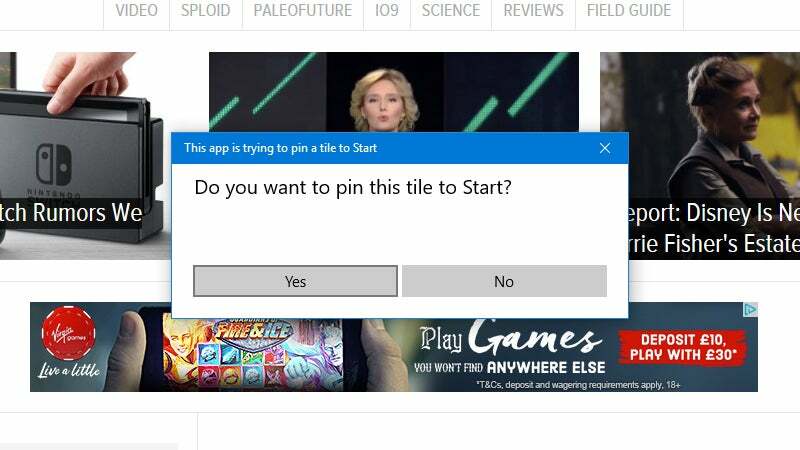 You can easily pin sites to the Start menu, for example, by opening up the menu (three dots) and choosing Pin this page to Start. Notifications from websites can be handled very easily and treated in the same way as any other Windows 10 alerts too. Websites will always ask first before displaying notifications, and you can manage the pop-ups from Edge through the Windows 10 Action Center. 1 reason to give them the big finger. The constant spam that they keep giving us while using Chrome. Chrome's so slow. Come and use Edge! Chrome drains your battery. Come and use Edge! Use this one weird trick to start using Edge! This guy started using Edge. You'll never guess what happens next!